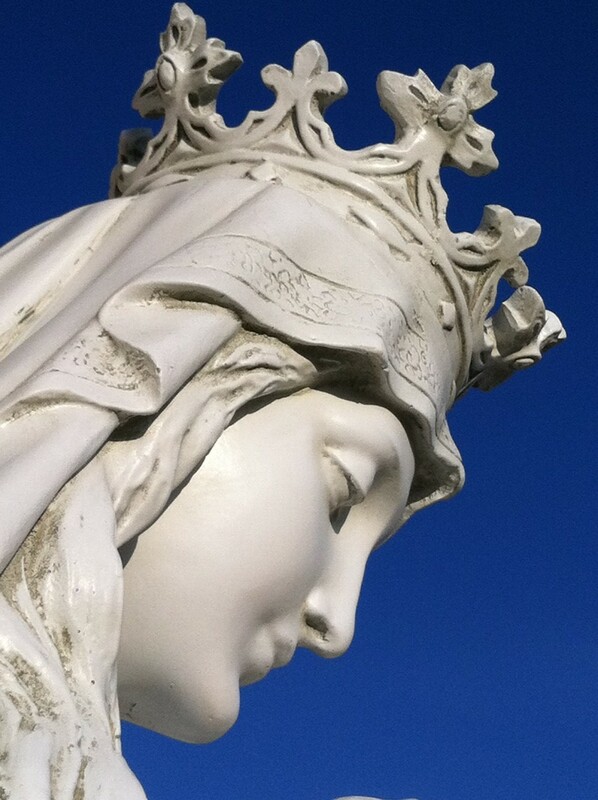 A new statue outside our Church, captured on my cellphone camera. God clothed her in her colors that morning! It’s a huge day of celebration in the Catholic Church, and New Year’s Day, of course. A solemnity is the highest level of holiday celebration we have, and we save it for big deal occasions. Like Sundays. And Mary on New Year’s. And Christmas and Epiphany. And Easter. St. Joseph, the Annunciation, Holy Trinity Sunday, and Corpus Christi, Sacred Heart, and the Birth of St. John the Baptist, too. Also, the feast of Sts. Peter and Paul (Apostles), and the Assumption of Mary. Some solemnities are Holy Days of Obligation, like this one.